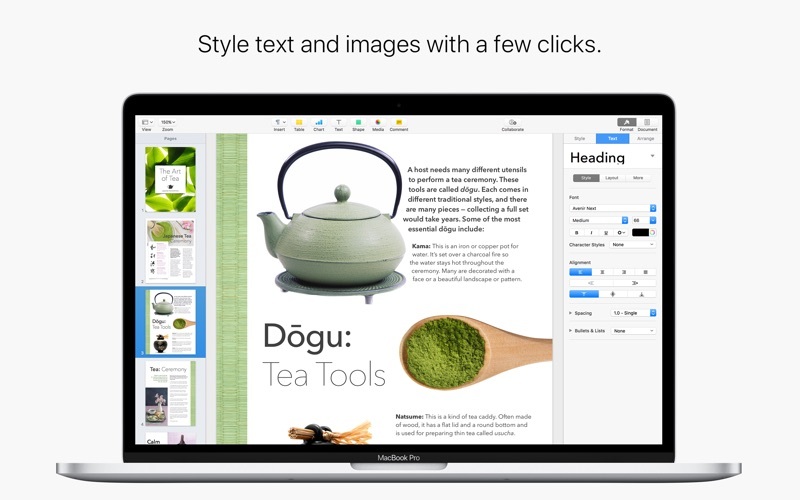 Create gorgeous documents in minutes with the Pages for Mac word processor — featuring a stunning design, writing tools, and performance. 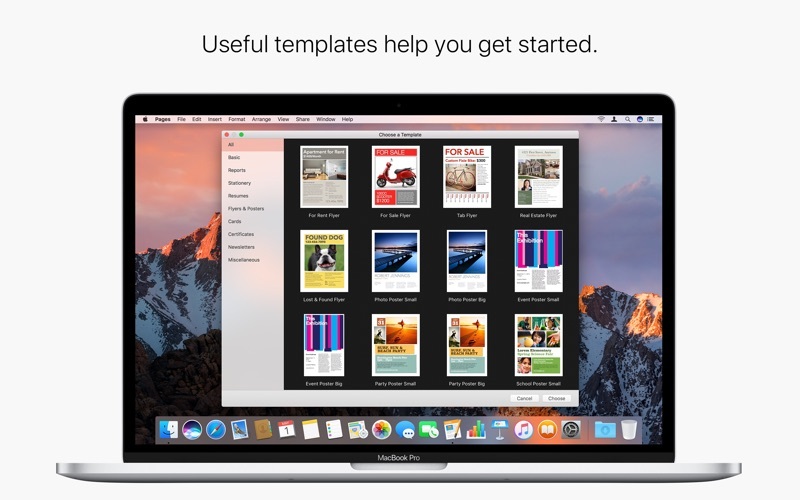 Start with an Apple-designed template or create your own design using fonts, styles, and tools from the intelligent Format Panel. Easily add images, movies, charts, and more. And use change tracking, comments, and highlights to review your work. 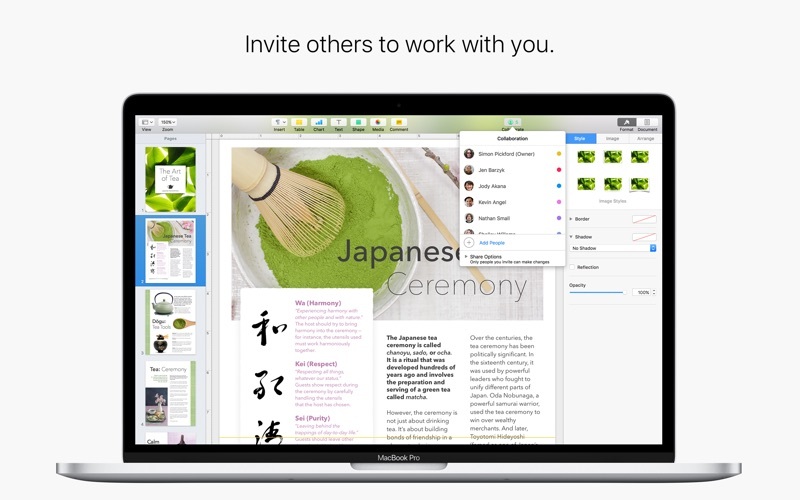 With iCloud built in, your documents are kept up to date across all your devices. And with real-time collaboration, your team will be able to work together at the same time on a Mac, iPad, iPhone, or iPod touch — even on a PC using iWork for iCloud. Whatever you write, Pages puts powerful tools at your fingertips. So you can create great-looking, media-rich documents in minutes. 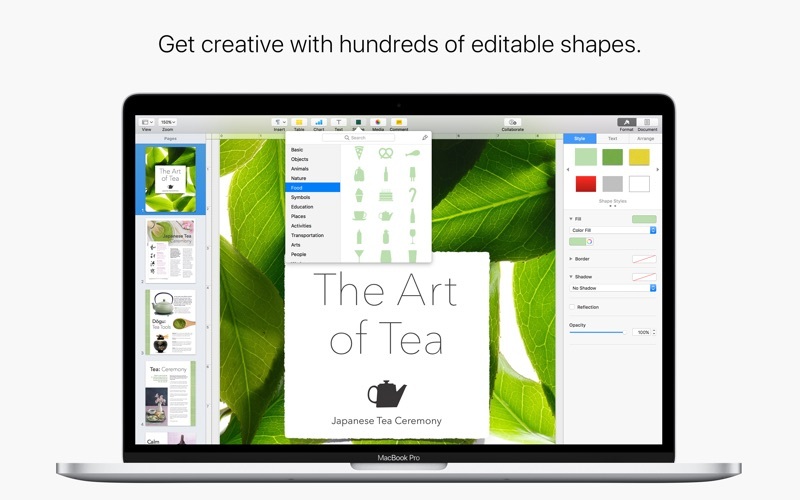 * MathType and EndNote both sold separately. EndNote integration requires a plug-in available from Pages support link. Pages does not include support for some Chinese, Japanese, or Korean (CJK) text input features such as vertical text. This update contains stability and performance improvements.